The “impossible” EM Drive (also known as the RF resonant cavity thruster) is one of those concepts that just won’t seem to die. Despite being subjected to a flurry of doubts and skepticism from the beginning that claim its too good to be true and violates the laws of physics, the EM Drive seems to be clearing all the hurdles placed in its way. For years now, one of the most lingering comments has been that the technology has not passed peer-review. This has been the common retort whenever news of successful tests have been made. But, according to new rumors, the EM Drive recently did just that, as the paper that NASA submitted detailing the successful tests of their prototype has apparently passed the peer review process. According to a story by International Business Times, the rumors were traced to Dr. José Rodal, and independent scientist who posted on the NASA Spaceflight Forum that the paper submitted by NASA Eagleworks Laboratories passed peer review and will appear in the Journal of Propulsion and Power, a publication maintained by the American Institute of Aeronautics and Astronautics (AIAA). Now before anyone gets too excited, a quick reality check is necessary. At this time, everything said by Dr. Rodal has yet to be confirmed, and the comment has since been deleted. However, in his comment, Rodal did specify the paper would be titled “Measurement of Impulsive Thrust from a Closed Radio Frequency Cavity in Vacuum”. He also named the papers authors, which includes Harold White – the Advanced Propulsion Team Lead for the Johnson Space Center’s Advanced Propulsion Physics Laboratory (aka. Eagleworks). Paul March was also named, another member of Eagleworks and someone who is associated with past tests. “Thrust data in mode shape TM212 at less than 8106 Torr environment, from forward, reverse and null tests suggests that the system is consistently performing with a thrust to power ratio of 1.2 +/- 0.1 mN/Kw ()”. But even if the rumor is true, there are other things that need to be taken into account. For instance, the peer-review process usually means that an independent panel of experts reviewed the work and determined that it is sufficient to merit further consideration. It does not mean the conclusions reached are correct, or that they won’t be subject to contradiction by follow-up investigations. However, we may not have to wait long before the next test to happen. Guido Fetta is the CEO of Cannae Inc., the inventor of the Cannae Drive (which is based on Shawyer’s design). As he announced on August 17th of this year, the Cannae engine would be launched into space on board a 6U CubeSat in order to conduct tests in orbit. By remaining in orbit for six months, the company will have ample time to see if the satellite is experiencing thrust without the need for propellant. While no launch date has been selected yet, it is clear that Fetta wants to move forward with the launch as soon as possible. And as David Hambling of Popular Mechanics recently wrote, Fetta is not alone in wanting to get orbital tests underway. A team of engineers in China is also hoping to test their design of the EM Drive in space, and Shawyer himself wants to complete this phase before long. One can only hope their drives all prove equal to the enterprise! While this could be an important milestone for the EM Drive, it still has a long way to go before NASA and other space agencies consider using them. So we’re still a long away from spacecraft that can send a crewed mission to Mars in 70 days (or one to Pluto in just 18 months). We Explored Pluto, Now Let’s Explore The Nearest Star! On July 14th, 2015, the New Horizons space probe made history when it became the first spacecraft to conduct a flyby of the dwarf planet of Pluto. Since that time, it has been making its way through the Kuiper Belt, on its way to joining Voyager 1 and 2 in interstellar space. With this milestone reached, many are wondering where we should send our spacecraft next. Naturally, there are those who recommend we set our sights on our nearest star – particularly proponents of interstellar travel and exoplanet hunters. 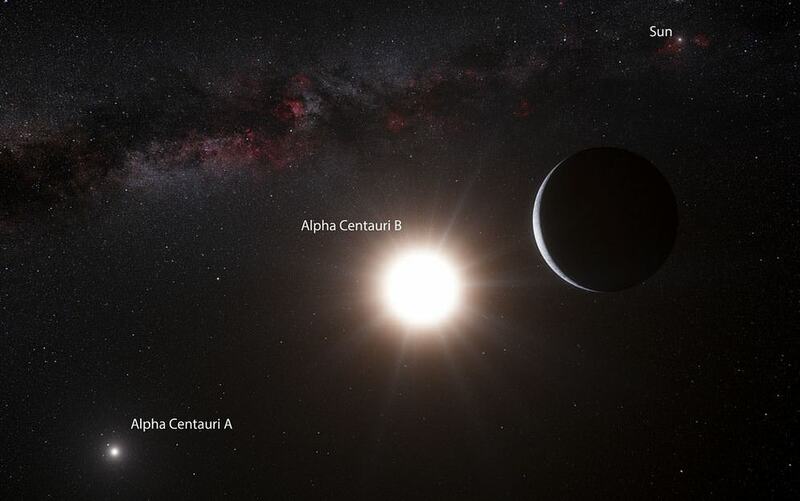 In addition to being Earth’s immediate neighbor, there is the possibility of one or more exoplanets in this system. Confirming the existence of exoplanets would be one of the main reasons to go. But more than that, it would be a major accomplishment!